I’m a gin fanatic. If it didn’t make me drunk I’d sip it all day long. That said, living in Canada as a gin collector is tough. When you consider how many gins are on the market, it is by far the least represented base spirit. At most liquor stores in Toronto, the bourbon and rum get two rows of display, scotch and other whiskeys often have their own rooms. There is an entire wall dedicated to bottles and bottles of vodka but gin, the base spirit for most of the ‘white’ cocktails of the world is relegated to sharing shelf space with something like brandy. That said, local liquor stores have stepped up of late by adding to the mainstays of Plymouth, Gordon’s, Gilbeys, Beefeater and Bombay Sapphire with Sipsmith, Hendrick’s, Citadelle, Hayman’s Old Tom, Bulldog and even the odd Floraison product, to name a few. Even still, most of my favourite gins are bought south of the border. My understanding is that in order for something to be called gin, it must include four key botanicals: juniper, cubeb, angelica and coriander, but I’m not convinced there is consensus on this. Obviously juniper is the dominant flavour, and it is not a stretch to describe the spirit as juniper-flavoured vodka, considering vodka is a flavourless neutral grain spirit. Gin lovers would kill for me for saying that but, hey, I too am a gin lover. 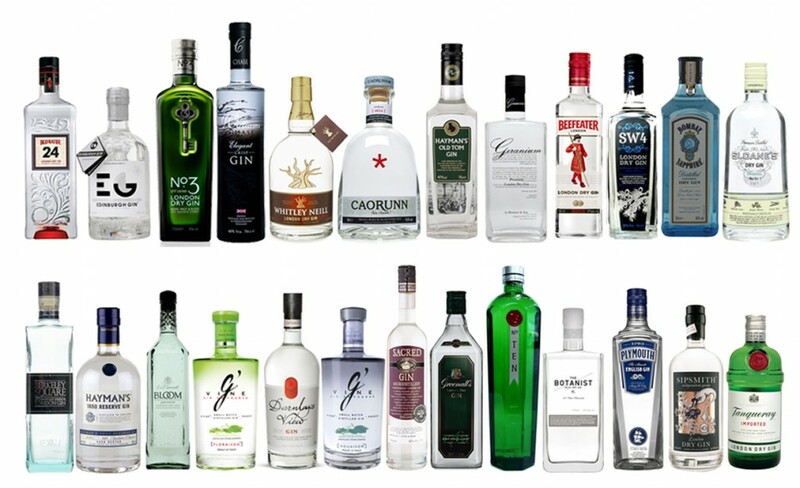 The vast, vast majority of gins on the market today are in the London Dry style. These gins include Gordon’s, Bombay, Beefeater, Gilbey’s and Tanqueray. London Dry gins contain tiny amounts of sugar, if at all (hence the term ‘dry’), and do not contain colorants or additives. The invention of the column still in 1832 made the production of this type of gin possible, as the spirit could be distilled in the presence of botanicals. Common botanicals besides juniper include cubeb, coriander, angelica, black pepper, citrus peel, almond, cinnamon, licorice root, anise, orris root, grains of paradise, nutmeg and cassia bark. I have many London Dry gins but prefer Nolet’s Silver Gin, Monkey 47, Oxley and G’Vine’s Nouasion. For Martinis, Gibsons and my favourite cocktail, The Vesper, I always choose Nolet’s or Monkey 47. Nolet’s makes a $700 gin that I’ve never tried. I have actually dreamed of owning a bottle, which makes me really worry about myself. This early Dutch and Belgian gin from which all gin evolved, originated with malt wine spirits and its aged or oude form more resembles whiskey than London Dry gin. Because the resulting spirit from the early pot stills tasted terrible, herbs were added. When the widely available juniper berry became the herb of choice, the concoction was eventually named after the berry. Aged or oude genever is not a common base spirit in cocktails. Young or jonge genever, however, is called for in a number of older recipes and, at present, is available at the LCBO from De Kupyer in green plastic bottles. At last check the inventory seemed to be dwindling, which is always the death knell for a spirit at the LCBO. Boomsma Jonge Genever is currently available at the LCBO as well, and is a far superior product. That said, the amazing distillers at Dillons in Niagara and 66 Gilead in Prince Edward County are both making genever styled gins that are available at the LCBO. I’m not sure they’re actually marketing them that way, but that’s what they taste like to me, and I’ve sampled over a hundred gins. Young genever can be very harsh out of the bottle, to my palate at least, but adds a subtle fruitiness to cocktails that is absent in London Dry. In my bar, I keep both Ontario products, Bols oude and jonge genever, the De Kupyer jonge product, Boosma oude genever and Anchor’s Genevieve. You can find some of the Anchor products out of San Francisco at Legacy Liquors in BC but otherwise you’ll have to head south of the border. 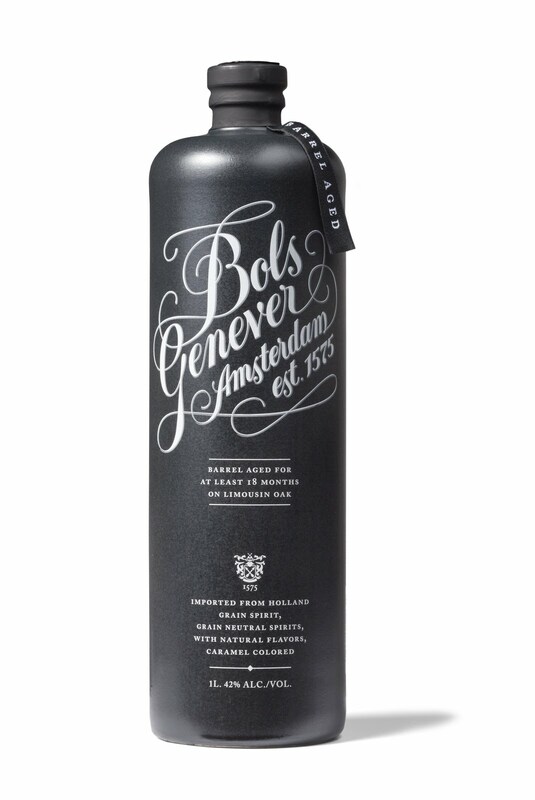 I also own Bols Geneva oude and jonge, as well as Rutte & Zn Paradyswijn Genever and Old Schiedam Genever, which are among the best. Wees Distillery in England also make a full line of highly regarded genevers. You might have been able to guess that this gin is made only in Plymouth, England, and its appellation is controlled by a protected indication within the EU. The Plymouth style is slightly less dry than London Dry, and has an earthier feel. Although the price nearly doubled recently with a newly designed bottle (as if anyone would fall for such blatant marketing), it remains my gin of choice for mixing drinks. Thankfully, at least for now, it is readily available through the LCBO. Aviation Gin from the US is often considered similar to Plymouth. This slightly sweetened gin is difficult to come by these days, although it is getting easier, even in Ontario. It is the gin of choice in a Tom Collins and Ransom’s Old Tom out of California makes an amazing Ethereal. Otherwise, it’s not often called for. I keep both the Hayman’s product, based on an original recipe, and Ransom’s Old Tom. Jensens and Both’s also make nice Old Toms as well but are not easily found. The LCBO stocks Hayman’s product from time to time. My understanding is that there is essentially no difference between gin and Akvavit other than swapping caraway for juniper as the principle botanical. The result, however, is dramatic. Although I appreciate akvavit or aquavit, I tend to find the caraway overpowering, especially in a cocktail. 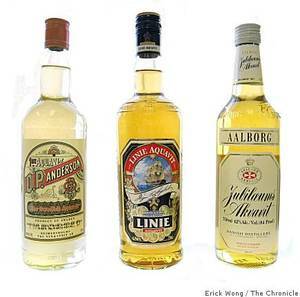 Akvavits are made almost exclusively in Scandinavia, and are usually available at the LCBO, although the brands may fluctuate. Aarlborg is the brand I see most often. To this day Linie akvavits from Norway, which I’ve never seen in Ontario, make the trip in oak casks to Australia and back aboard ships. The constant rocking and fluctuating temperatures, so the theory goes, contribute much to their flavour. Norwegian akvavits, in contrast to those from Denmark and Sweden, are normally aged at least one year. This distillery out of Philadelphia makes four products that are quite incredible. My favourite of them is the Sage. 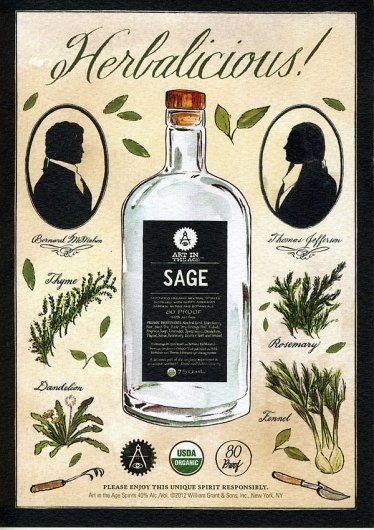 As juniper is to gin and caraway to akvavit, sage is obviously the predominant botanical in this spirit. I’m very drawn to it, and the Roasted Cherry and Sage Lemonade which you can find at http://www.nutmegnanny.com, which absolutely blew me away. Thanks for your comments on my cocktail site. Much appreciated. I’m in the process of updating it by adding video and photos. Stay tuned.